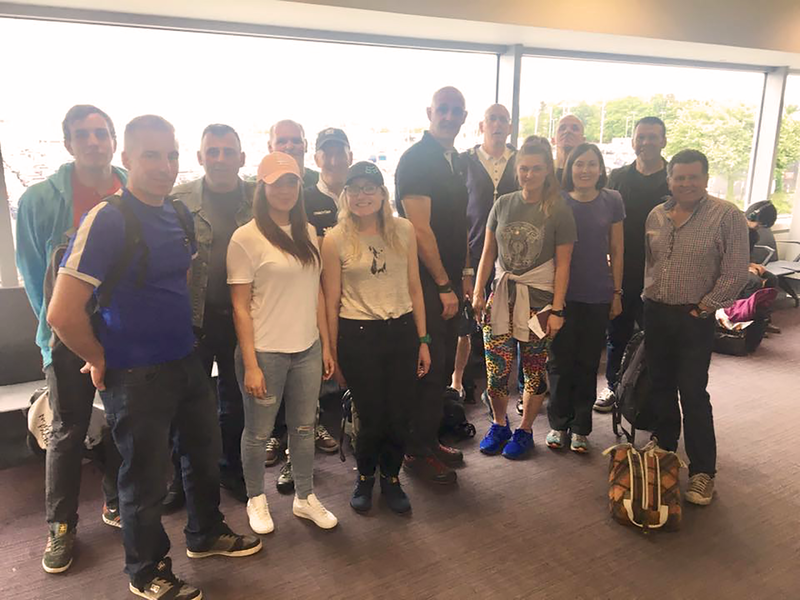 In late May 2017, after a 6 month build up period, 20 members of 154 Regiment set out from Scotland bound for Granada in Southern Spain and a week-long Mountain-biking expedition. The membership of this group represented the Regiment’s Reserve make-up in almost perfect microcosm; 6 Girls and 14 Guys; every rank from Private to Officer and an age range from 20 – 53. They hailed from Ayrshire, from Glasgow, from Edinburgh and from Fife. Each one a part time Reserve soldier with a full time civilian life; including a civil servant, a veterinary nurse, a handful of truck drivers, an IT consultant, a student and even a Company Director! The aims of the expedition were to expose participants to testing riding and living conditions, the challenges of navigation in unfamiliar territory, the discipline and organisation required to move bases daily and the difficulty of supporting operations whilst constantly on the move. That is what expeditionary logistics is all about and that is what 154 Regiment exists to do. 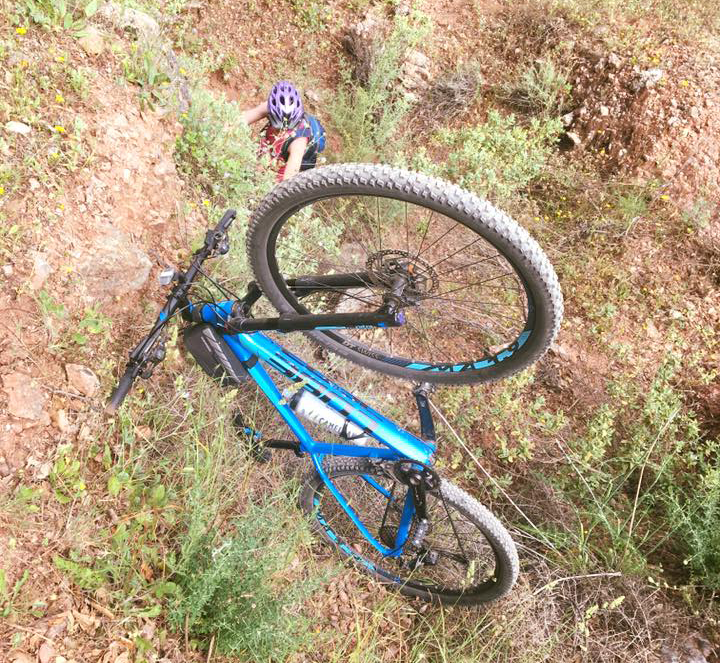 So, through the medium of a Mountain-biking expedition, valuable lessons – which feed directly back in to the military environment – were learned. 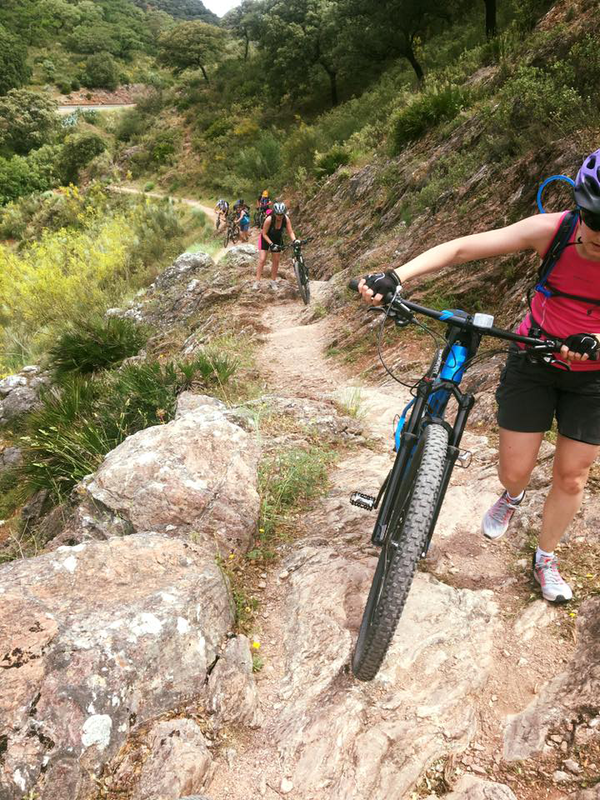 On route from Mainland Spain’s highest peaks in the Sierra Nevada, to sea level at Tarifa, Europe’s most southerly tip, the group would face and conquer significant challenges, battle the heat, witness breath-taking scenery, and experience the culture of Real Spain. Bodies would ache, personal physical barriers would be smashed, blood would be spilled and, on this journey, a group of virtual strangers would become a Team. Weary from long day of travel, the group arrived at the La Zubia campsite late on a balmy Saturday evening. 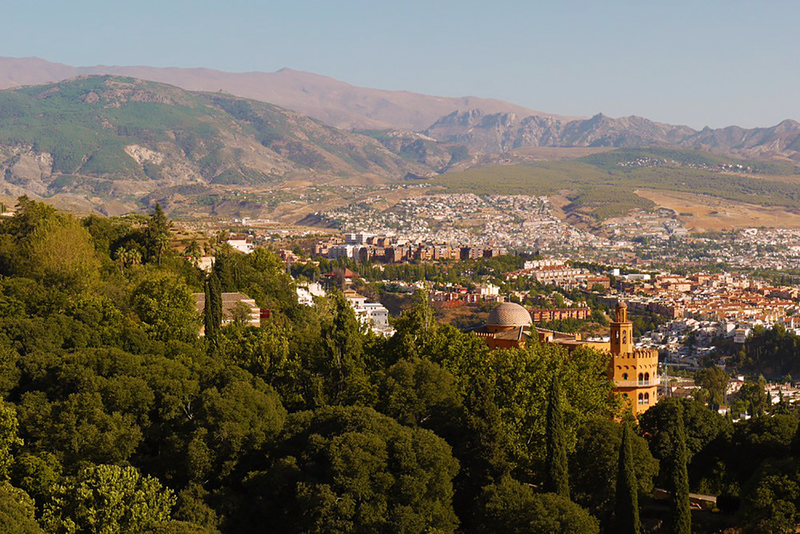 The Expedition Leader had promised a hard first ride and the initial glimpse of the towering mountains of the Sierra Nevada, which rise spectacularly from the valley floor surrounding the ancient city of Granada, served only to underline this. As the riders turned in for the night, the mood could be best described as one of nervous anticipation. With a big ride ahead and a plan to avoid the mid-afternoon heat, Reveille was called just before sunrise and the group set about checking equipment before heading off for the Start Point at Guejar Sierra. The Transnevada Trail guide book stated 6 hours riding over well-signposted routes but this proved a little off the mark. Even for the fittest and most experienced riders, the riding was slower than estimated and the routes were poorly sign-posted. Whilst the first part of the route was a slow steady climb along the route of an abandoned railway line, the second was on logging tracks which, after a few kms, turned in to an unrideable uphill single track leading to a mountain pass at 1850m. A stretch of the track was littered with recently cut gorse; dozens of punctures were suffered as a result which cost nearly 3 hours to repair. Sergeant Ged Cushley suffered a fall which would eventually rule him out of riding altogether. With light fading, the descent to La Zubia began and the decision was taken to finish the ride 12km short of the Finish Point. Tired and hungry, the group made its way back to the campsite and a well-earned Supper. Day One had been a hard day indeed – the notes for this part of the Transnevada Route had obviously been written by Mountain Goats! The late finish on Day One made for a late start on Day 2. Therefore, the decision was taken to shorten the ride to avoid the heat of the day. (A wise move as it was 23˚C at 12am, rising to 27˚C at 3pm). 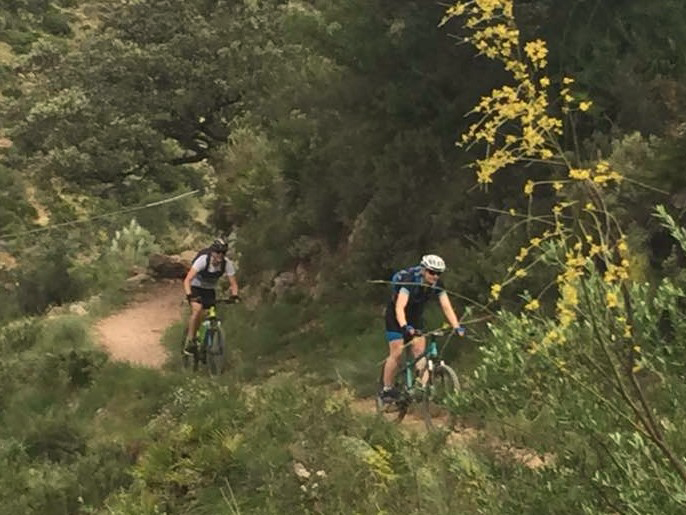 The ride along a section of the Transandalucia Trail from Fornes to Alhama de Granada began well with a gentle climb following the course of the Anales O Cuevas River and then turned north in to the hills and a more challenging climb on logging tracks. After a couple of hours’ riding, the riders reached the start of a single-track section for the descent in to the Jatar Valley. Unfortunately, the route was barred by logging operations, so recces were sent east and west to find an alternative. The only option open entailed a significant climb on a 15km detour. One of the riders was suffering badly with the heat. So, given the rising temperature and the lengthy detour in prospect, the decision was taken to return to the Start Point and call in the support vehicles. The disappointment of not reaching the target was tangible but lessons had been learned – sometimes the right thing to do is to turn back, regroup and start again afresh. 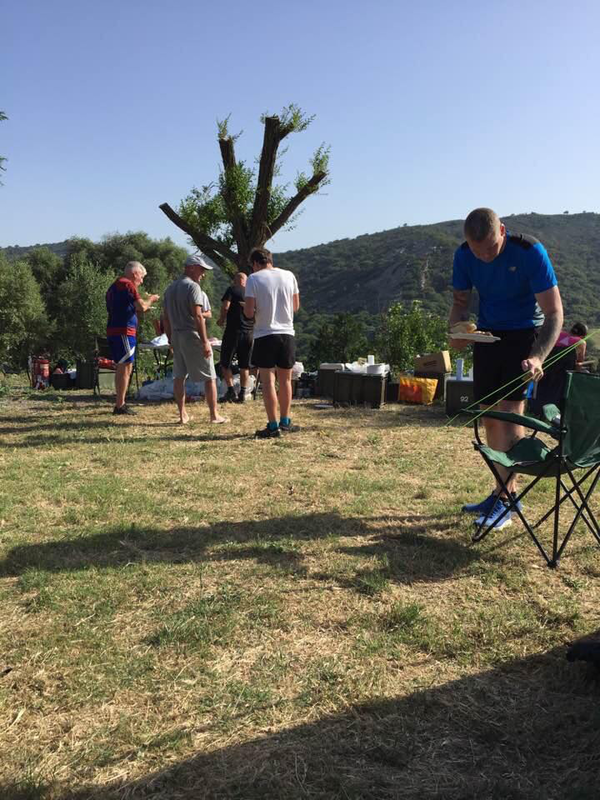 The mood soon lightened as aches and pains were soothed away in the Pool by the campsite on the banks of the Vinuela Reservoir and the cooking duties were handed over to a professional. Progress on the first 2 days had been hampered by challenging trail conditions and a barred route which resulted in an aborted ride. Whilst valuable lessons were learned it had, nonetheless, been a frustrating start to the expedition. Day 3 would prove to be much more rewarding with a straightforward ride on well-defined back roads and farm tracks from El Chorro to El Burgo. 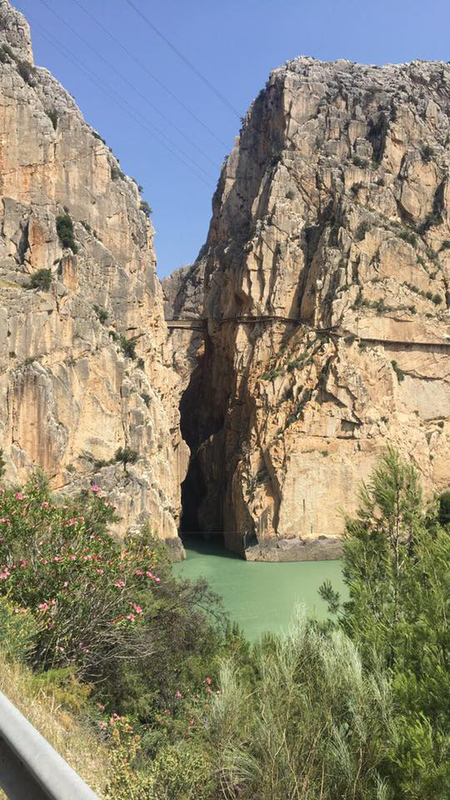 The stunning backdrop of El Chorro – a 200m deep river gorge which slices through sheer rock face – provided the start point. The ride began with a long slow climb from the river basin to a pass above the Conde del Guadalhorce reservoir which the route skirted on its way to the town of Ardales for a mid-point meet with the support crew. The route out of Ardales was a tough climb which gave way to undulating pasture land on route to the Finish Point at El Burgo. 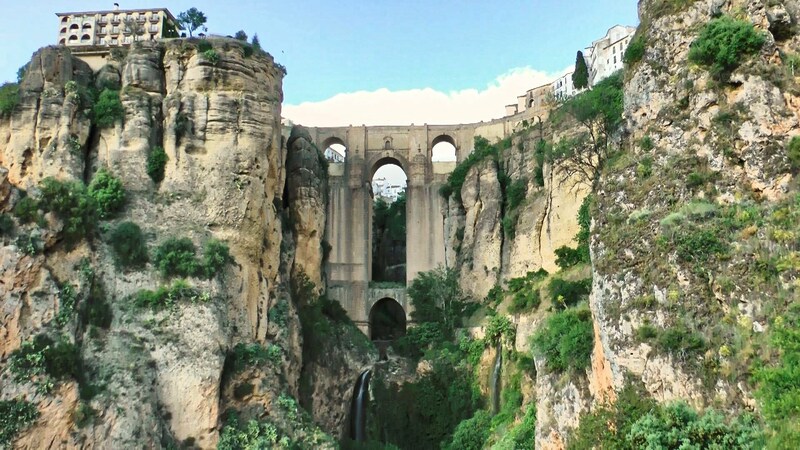 That evening the group visited the stunning town of Ronda with its ancient Bullring and ‘New’ Bridge (constructed in the 1750s) spanning the 100m deep chasm which separates the old and new parts of the town. A visit was also made to the local hospital where Sergeant Ged Cushley received treatment for his back injury and Lance Corporal Christina McCaughey spent a couple of hours on a Drip to treat dehydration. With the Group starting to gel nicely and a rhythm and routine developing, the riders struck out on Day 4 from the Campsite at Ronda, through the outskirts of the town to pick up the trail which follows the Guadiaro River and the Algeciras – Bobadillo Railway Line (constructed by British Engineers in 1888). Challenging single track contoured the hills above the river offering breath-taking views and more than a few scary moments as the track narrows with sheer drops to the river below. Whilst [not] negotiating a tight bend, Lance Corporal Diane Clark took a tumble, rolled 20 feet down the hill and came to a stop in a stream. Wet, bruised and bleeding, she patched up her wounds, mounted her bike and cracked on with a smile! 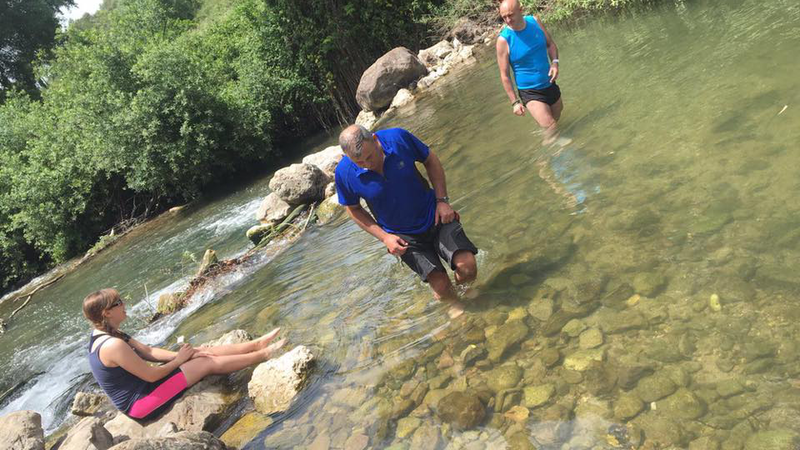 The midway stop at the train station at Jimera de Libar was an idyllic location where lunch in the shade and a cooling paddle in the river went down a treat. From Jimera de Libar, the lead group came across a route closure and were forced to detour through the hills to the South. The following group opted for a B Road to the North. 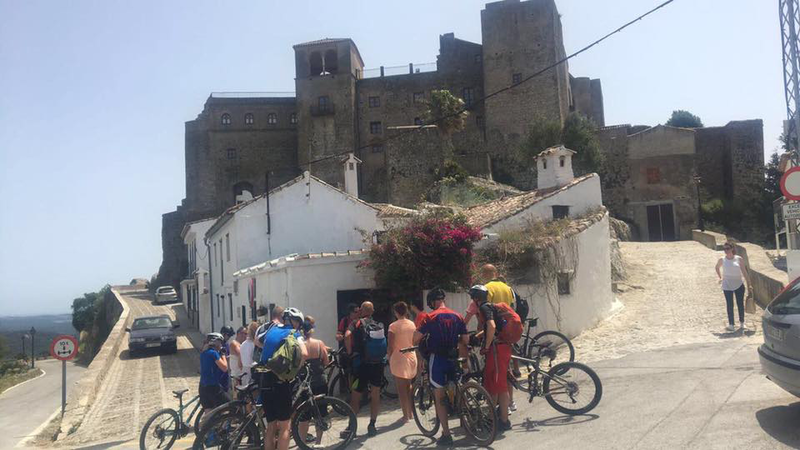 Both groups faced gruelling climbs on route to Canada del real de Tesoro and all were glad to reach the finish point as it was another hot day and the heat was starting to take its toll. 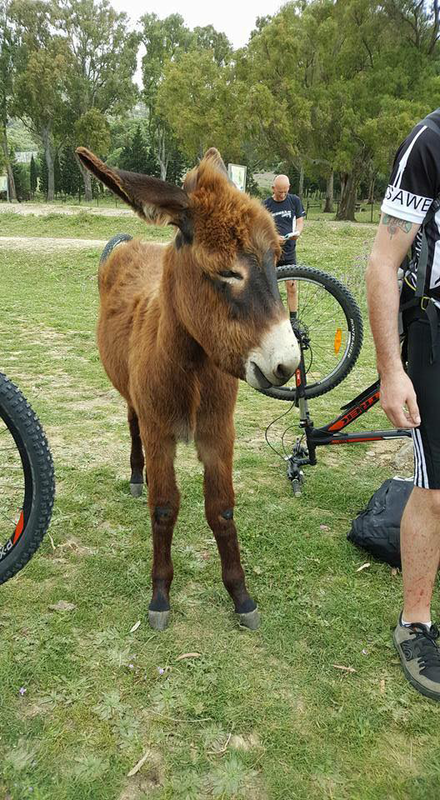 From the wonderful campsite, high on the lush green banks of the Hozgarganta River on the outskirts of Jimena de la Frontera, the riders set out Southwards following the river course. This first part of the route entailed a fair amount of carrying over an ancient rocky trail but this quickly gave way to farm track which incorporated 2 refreshing river fords. A navigational error tested the Instructors as they searched for an alternative to re-tracing the route back up a big hill! They came good and after climb over a fence and across a disused railway, the group were back on track. From the lunch time stop at Marchinella, the route joined the GR7 Trail (which runs from France to Southern Spain) and a great piece of undulating single track which, once again followed the river and railway track. Turning North away from the river so began a slow and technically challenging ascent to Castellar Castle along the remains of the 2000+ year old Roman road. Breasting the summit of the hill at the entrance to the Castle, the group took in its first views of Gibraltar and across the Mediterranean Sea to Morocco. An hour was allocated to tour the Castle, which is home to a community of artists (founded in the late 1960s when Hippie squatters from Northern Europe occupied the abandoned Castle) and to rest the legs before descending on the last remaining section of the Roman road to the Finish Point. The evening of Ride Day 5 was spent in a hostel on the Coast for a cultural visit to the Spanish coastal destination of Torreguadiaro and to ogle the Super Yachts in Sotogrande Marina. 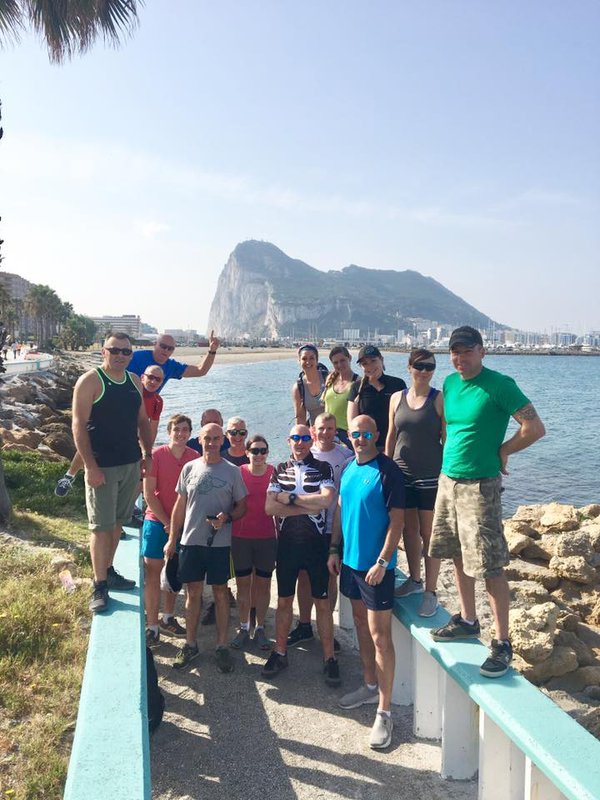 Ride Day 6 began with a detour to La Linea de la Concepcion for fuel and a photo opportunity with Gibraltar starring in the background. Sightseeing selfies done for the morning, the riders set off from El Bujeo, and with a little help from some four-legged friends, the riders began the slow and steady climb in to Los Alcornocales (Cork trees) Natural Park. Over rocky ground it was technical to start with but, with 5 days’ hard all-terrain experience behind them, the riders all took this in their stride. After the lengthy climb, a long and winding descent to the campsite on the shores of the Atlantic Ocean at Valdevaqueros passed without incident. The well-equipped Valdevaqueros (Valley of the Cowboys) campsite provided a great opportunity to catch up on the backlog of laundry and to get together for a BBQ. 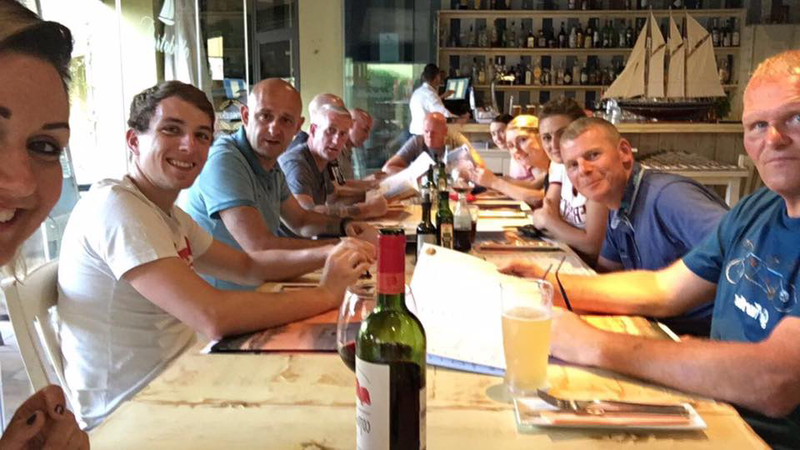 By now, it was clear to see that, having been through a great experience together, this group of strangers had become a Team of Mountain-bikers and firm friends to boot! The final ride day started with a difference; a jog to the Beach, aerobics on the beautiful white sand and a dip in the Atlantic Ocean. For Private Stacey Martin from Dunfermline, on her first foreign trip (ever! ), this exposed the fact that she had quite clearly never been in the Sea before either when she remarked ‘Yuk! This water tastes salty, you know!’. Refreshed from the bracing dip in the Ocean, the group broke camp for the last time and prepared for the final ride along the coast to Tarifa – the Southern-most tip of Europe. 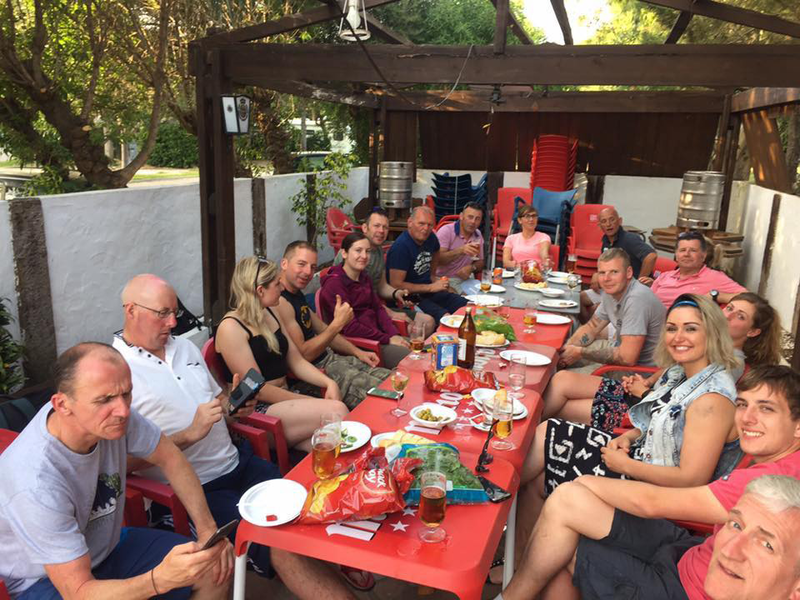 By early evening, the bikes had been packed away for the journey home and it was time for a well-earned Tapas Tour and night of culture in Tarifa. As the lazy Sunday morning came to an end, the Group assembled for a ‘hot washup’ where feedback on the week was noted. 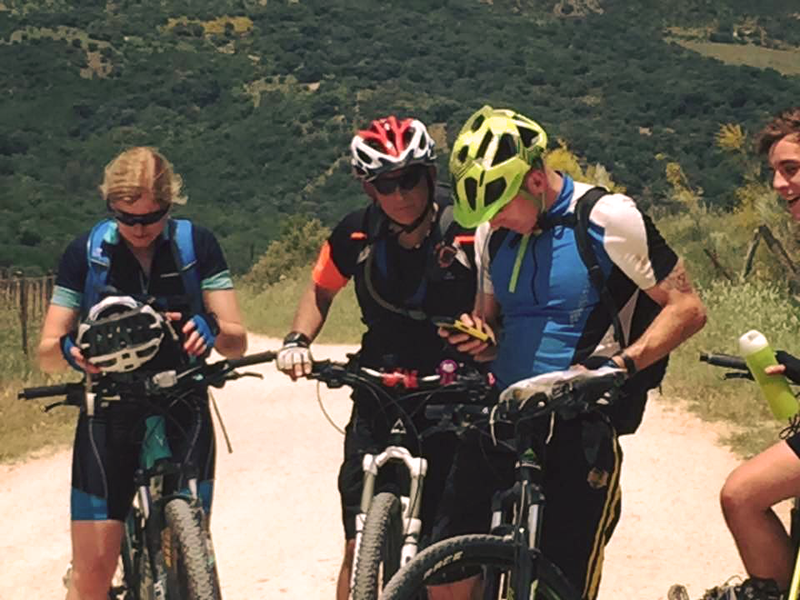 Whilst, as always, there were a few areas marked out for improvement, the consensus was of a hard but highly rewarding week of riding, a good insight to what military adventurous training expeditions can offer and an interesting insight to the ‘Real Spain’. Pte Lisa Henderson remarked that she had no idea that Spain had so much to offer – and so close to the famously unattractive seaside resorts of the Costa Del Sol – she will definitely be going back! LCpl Gary Johnston, also from Edinburgh said that the expedition had re-ignited his passion for Spain and challenging Adventurous Training, and Lance Corporal Wullie Mullen from Glasgow said that Ex Northern Sierra was quite simply the best thing that he had done in his Reserve career. Ex Northern Sierra 2017 was a resounding success. True, it did not go exactly to plan, but no real adventurous training expedition ever will – if it does, then maybe it wasn’t as adventurous as it could have been! 20 soldiers from 154 (Scottish) Regiment came together to attempt something that none of their number had done before. There was danger, excitement, thrills and spills. There was blood and bruises, tears and laughter! Everyone learned something, perhaps about themselves and certainly about the value of Teamwork, relying on your buddies and working together to achieve a common goal. This sort of endeavour takes a lot of planning and organisation from the leaders and a mountain of support from the unit and the experts in the Adventurous Training Group. For this, the expedition Leader and his Team are immensely grateful. And finally, without the generous financial support of the Ulysses Trust and other kind benefactors, this expedition simply would not have been possible. The Trustees should know that the funding was gratefully received and well spent on an excellent adventurous training expedition to Southern Spain. Thank you. Edinburgh Airport – Departure Time. Pte Stacey Martin is nervous and excited – she has never been on a plane before! There’s always another way! Instructor Private Daryl Maxwell in Navigation Mode. Time for a well-earned Pizza. The stunning El Chorro Gorge. 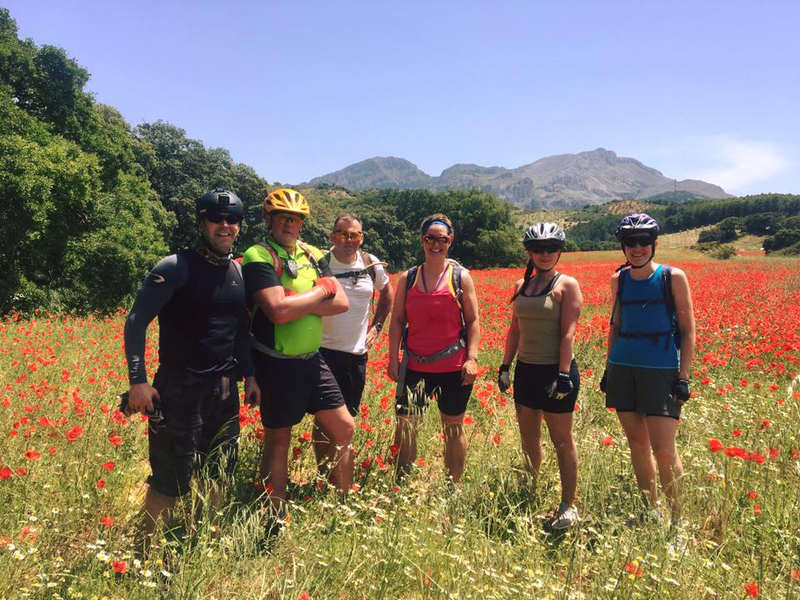 Staff Sergeant Tony Moretti, Sergeant Stu Cameron, Warrant Officer 1 Colin Inches, Corporal Sharon Black, Private Stacey Martin and Lance Corporal Diane Clark amongst the high Poppy meadows on route to El Burgo. Ronda’s 250-year-old ‘New’ Bridge (Puente Nuevo). Dinner at the wonderful wilderness campsite on the banks of the Hozgarganta River. A history lesson at the gates to Castellar Castle.